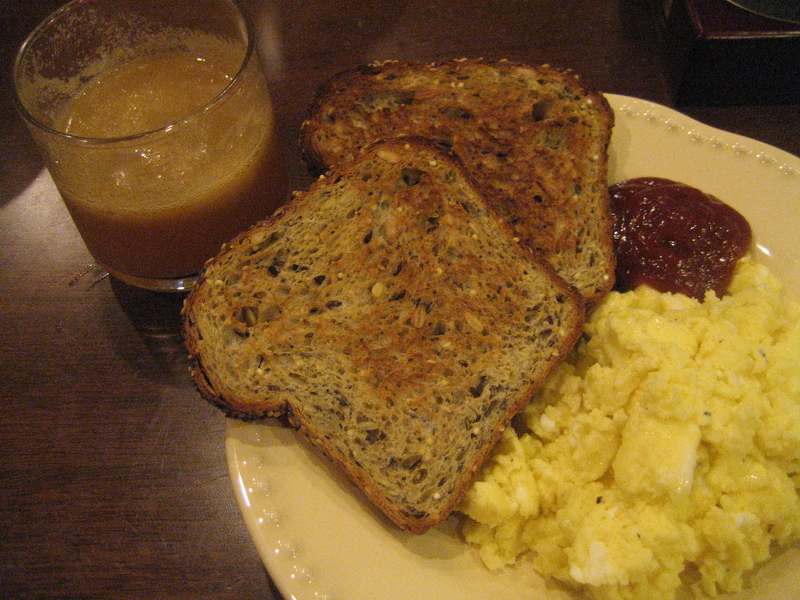 One of my favorite things for dinner when I was growing up was when my mom made us breakfast for dinner! I am not a huge breakfast fan. I mean, I always eat breakfast, but it usually consists of oatmeal, toast with peanut butter, or some type of yogurt concoction. I have never loved pancakes or french toast or eggs for breakfast, but for dinner?! I love them! Our house was pretty empty in the food department last night, especially veggies so my favorite childhood dinner was on the menu! We were both starving, so Brant whipped up some quick scrambled eggs with cheddar cheese and whole grain toast, while I went to work with my new juicer!!! Brant makes great scrambled eggs – he adds some milk, salt, pepper and cheese. They are my fav! And, of course I add ketchup! But, I make sure to use the stuff without high fructose corn syrup. 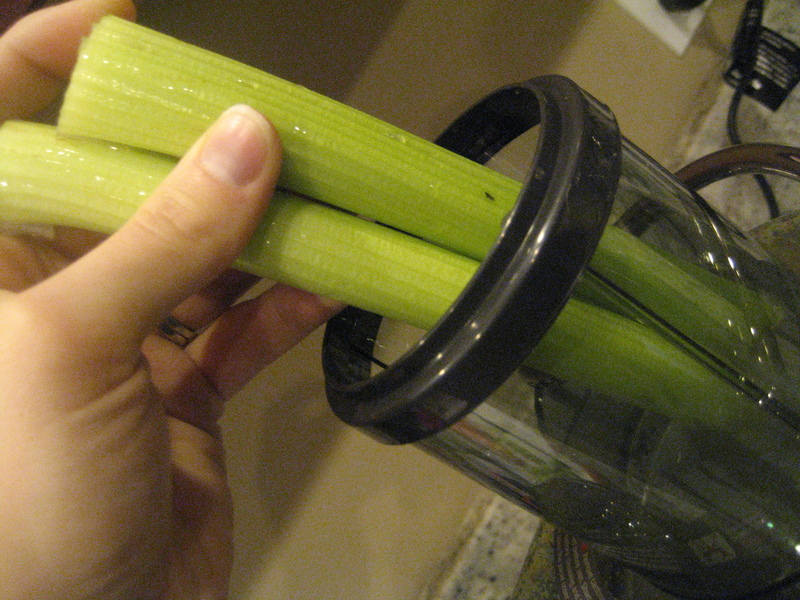 I have had my eye on a juicer for awhile now, but was always hesitant to pull the trigger and just buy one. The good ones are a little pricey, and how often was I really going to make juice?! But, after getting some giftcards for Christmas, I knew exactly what my purchase would be! It’s been 3 weeks since Christmas, and this is the first time I am using it! 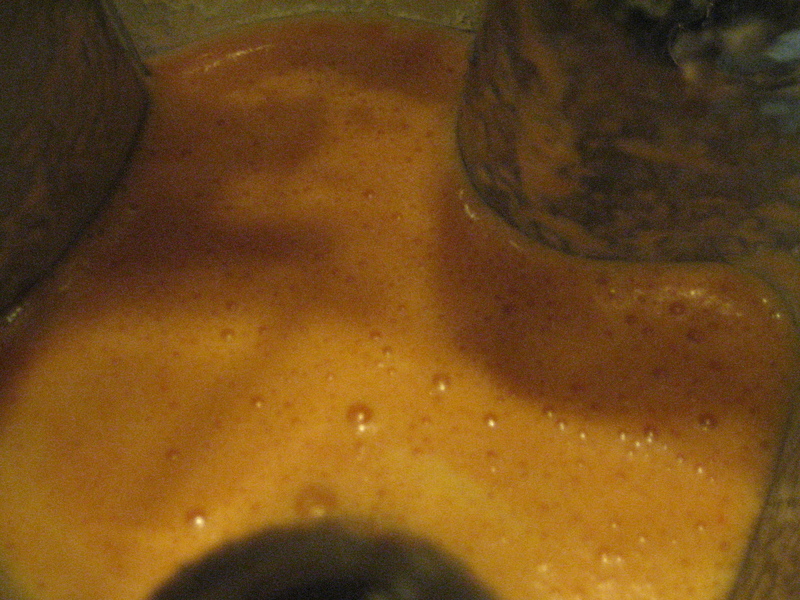 But, now that I have unpacked it and tried it out, homemade juice will be a staple in my diet. I mean, it is such a great and easy way to get more fruits and veggies in your diet (and your husbands!). And…it is delicious! I started out easy with apple juice. 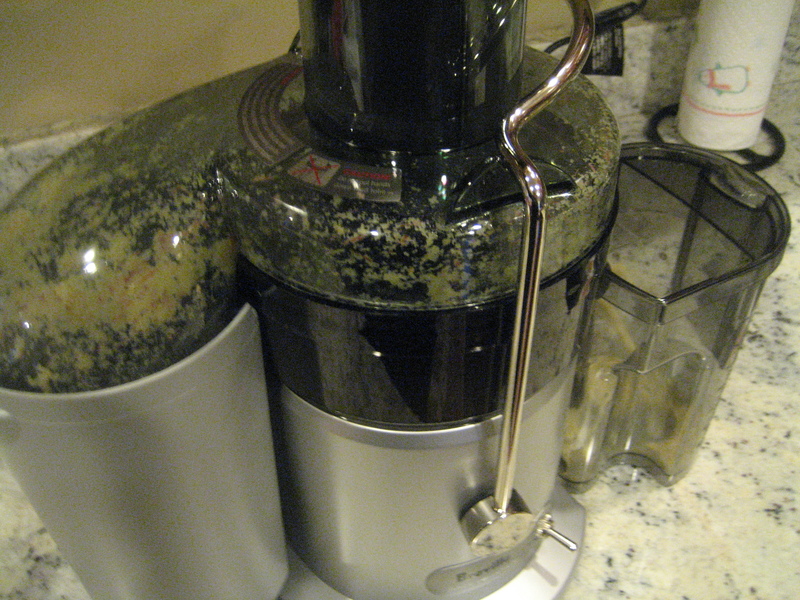 I took 3 medium apples and literally put each one right into the juicer – whole! It literally extracts every ounce of juice out of the apples! The juice is delicious, and the pulp is completely dry! The juice was unlike any other apple juice I have had. It tasted just like you were eating a juicy apple – yum yum yum! 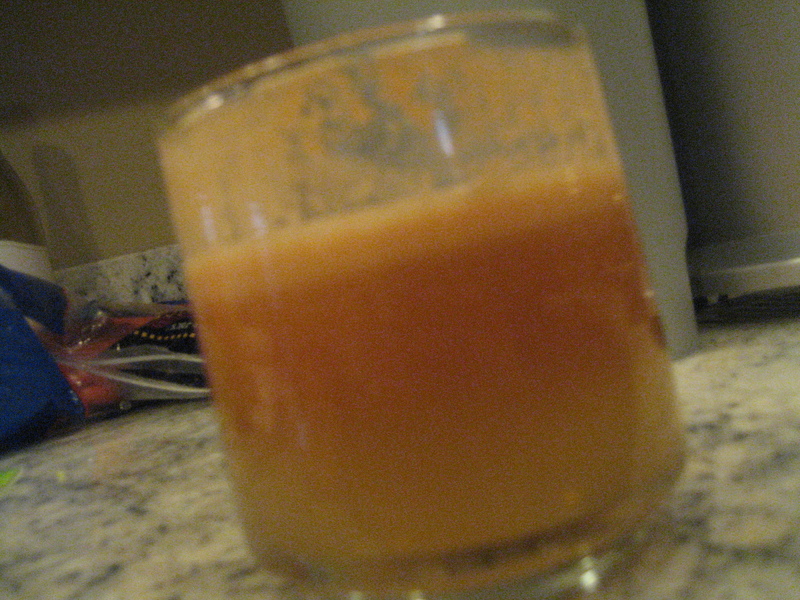 Next up was Apple, Carrot, Celery juice. 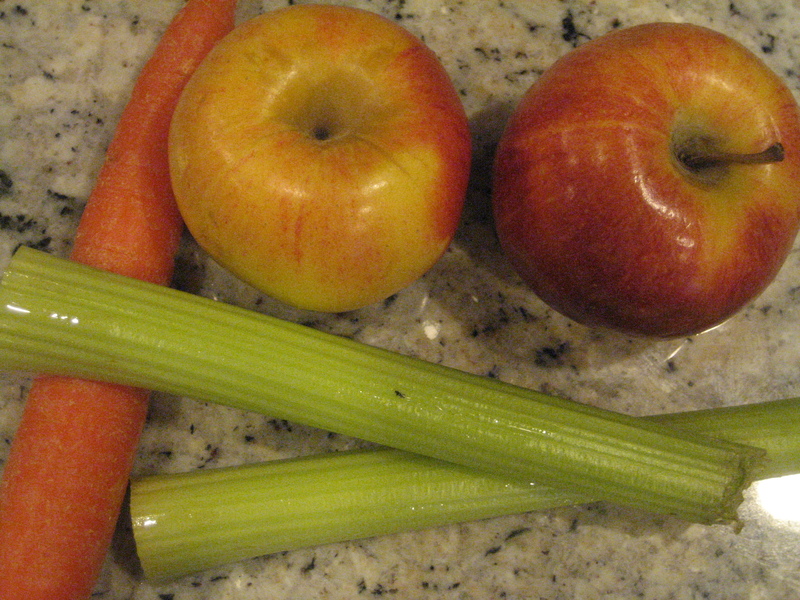 I took 2 medium apples, 2 celery stalks and 1 carrot. I wanted the juice to be mainly apple-y tasting with a hint of carrot and celery, but you can switch up the proportions to the taste you want. Next time, I might add some ginger. 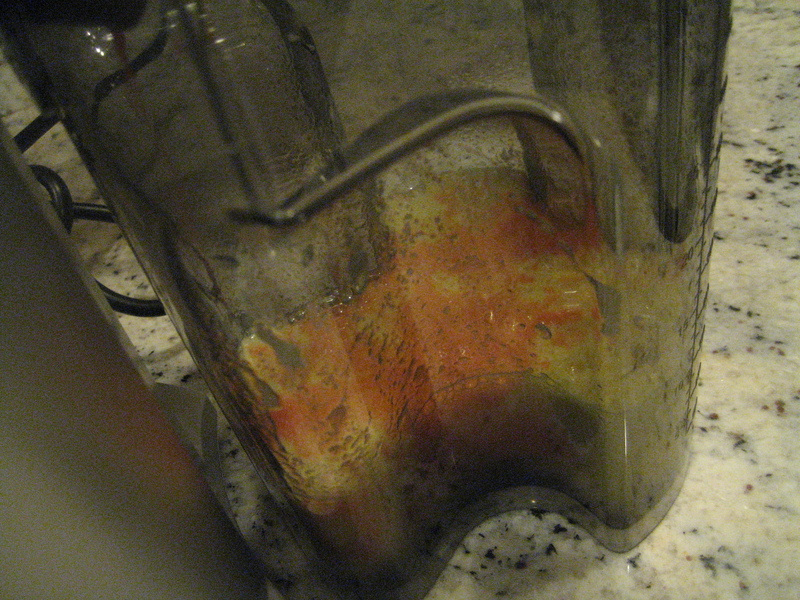 The fruits and veggies get sucked into the chopper and the pulp flies one way, while the juice pours out of the other side. You wouldn’t believe how much juice comes out of these babies! It is definitely very frothy coming out, but fortunately when you pour the juice into your glass, there is a froth collector (or whatever you want to call it), so you get minimal froth in your juice. I have heard that you can make a lot of things out of the dry pulp, so that will be on the agenda for the weekend! They suggest that you use the pulp the same day in order to maintain the vital nutrients in it. 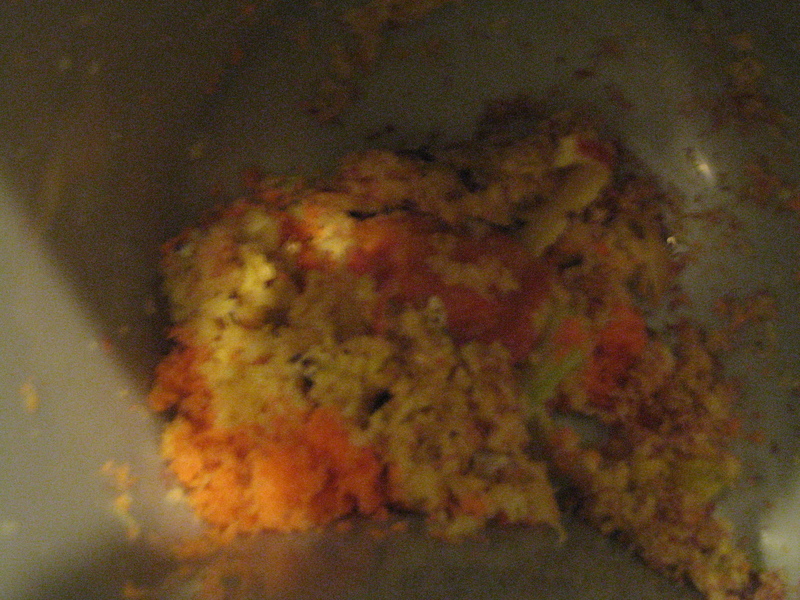 You lose all of the fiber by using a juicer, so why not get that fiber back with pulp crakers! 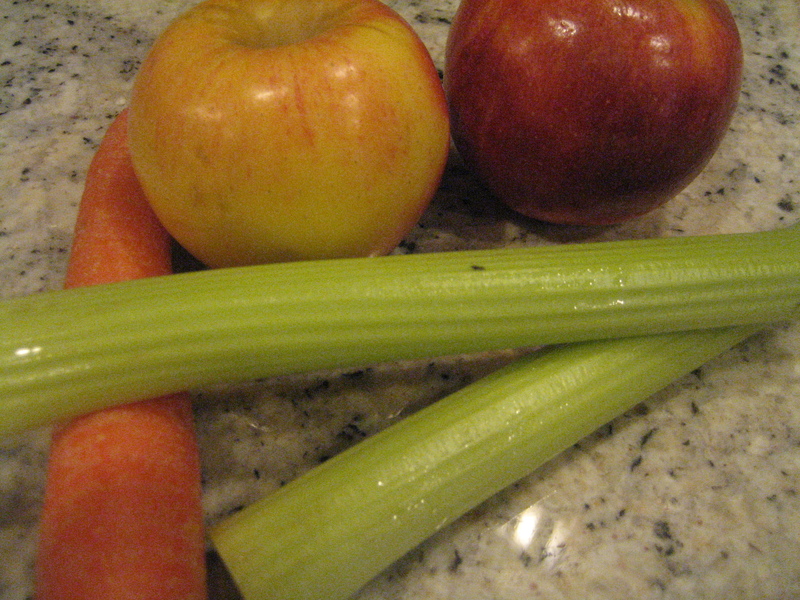 My 2 apples, 2 celery stalks and 1 carrot made one 8 ounce serving of juice. A perfect amount. Do you have any favorite meals that you remember from being a kid? breakfast for dinner brings me back to my childhood as well. I should do that for my kids. That juice looks so yummy.